The winter weather is completely gone, which means that Stagebridge has to offer great spring mountain views, fresh air and warm weather. Don't hesitate to stop by to pick up an information brochure, schedule a tour with us, or simply explore the nearby area. You can always explore our website for pictures and get an idea of the property, but nothing beats seeing the gorgeous views with your own eyes! 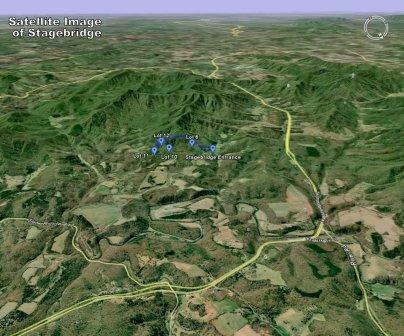 Now is the best time to see Stagebridge, home sites available in the best location in Central Virginia. Everything you could wish for in a Mountain Community. Gorgeous views - Friendly neighbors, etc. Now that the weather is warming up a bit, the views can be seen with ease, please p have provided a nice cool down and have revived the orchards, vineyards, and gardens on the Stagebridge property. Stagebridge, like much of the east coast, has been blessed with an abundance of much-needed rainfall. The springs and streams are running well and our landscape folks are keeping the grounds mowed and trimmed. With the mild temperatures and rain, this year at Stagebridge has been one of the most beautiful yet. The mountainside is a rainbow of brilliant colors from all the flowering trees. The leaves on the trees are just about filled out, however far views are still breathtaking through our generous view sheds. The views at Stagebridge are breathtaking, with the trees beginning to bud and bloom, and spring bulbs starting to show their colors. Soon everywhere you look there will be brilliant colors of green, red, yellow, and more. Shortly, redbud, maple, apple, cherry, and dogwood will be in bloom, contributing to the rainbow of spring colors at Stagebridge. Despite the unexpected wintry air that has been lingering around the Central Virginia area and the unwanted news of six more weeks of winter, we at Stagebridge are enjoying everything the land has to offer. Snow during the December and January months made for breathtaking views of the mountains and all of Stagebridge. The winter animals were out and about enjoying the snow and even some of our own Community members joined them with snowman-making and sledding. October has nearly come to an end, bringing cooling temperatures and longer nights. The still-vibrant colors remind us that the trees have only begun to shed their leaves. This is arguably one of the best times to tour the Stagebridge Community. 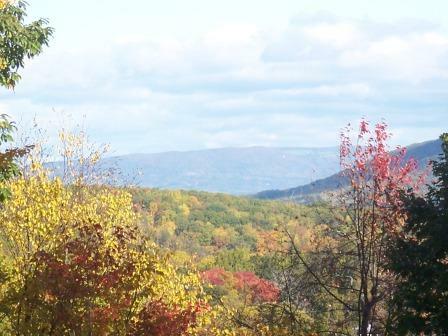 The fallen leaves have unlocked views spanning Nelson County, showing the depth of fall colors. The gracious rainfall has continued this year, July was a bit dry, but August and September have been wet, creating a lush and plentiful forest landscape throughout Stagebridge. The blackberries ripened and are now all consumed, but honeysuckle and other wildflowers continue to provide splashes of color throughout. Soon the fall foliage and colors will be upon us. The creeks and streams are wonderfully full, creating breathtaking sights around Stagebridge. Despite the intermittent rainfall, the weather has been seasonally mild, which despite the shortening days provides for a perfect tour of Stagebridge. Thank you for visiting www.Stagebridge.net. We welcome your interest and feedback, and stand ready to answer your questions. 2010 has begun in the midst of both positive and negative factors. On the plus side, rural mountain land that is suitable for building is becoming increasingly scarce, especially for land with good view sites, a well and utilities, as well as wooded privacy. 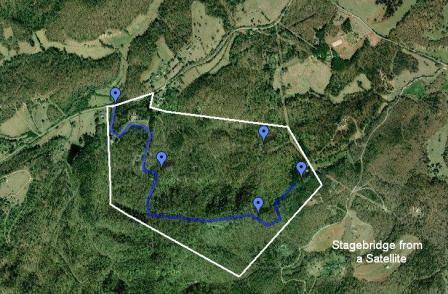 Large lots over 5 acres, especially those 21 acres and up, are hard to find in the mountains. These large lots can have property tax and financing advantages over smaller lots, besides providing more privacy and long-term value. Locally, price trends are down somewhat but still in the $10,000-$20,000/acre range for larger, improved tracts in Nelson County and twice that amount in Albemarle County. Nationwide, price trends for larger tracts of rural land are up, despite a glut in smaller building lots in established suburban subdivisions. It’s clear that people want to live in rural areas. Furthermore, institutions and other investors now view rural land as an asset class, one not correlated with the stock market, and capable of excellent, steady returns. On the negative side, national economic trends are poor and uncertain. Money is hard to borrow in general, especially for land. Locally, our area is doing somewhat better. Over the years we have developed excellent sources of mortgage funding and lenders who are willing to collateralize land (most are not), and some provide preferred terms to the larger tracts. Please contact Stagebridge for more information on financing. Deciding to purchase rural land is a complex process. Our view is that rural land is an asset class that will serve one well over the next few years, particularly land that provides recreation, beautiful home sites, and proximity to the amenities of a major city. This has been our view for the past 20 years and our premise for the next 20. Please consider joining us at Stagebridge. For a private tour and discussion, please contact mike@stagebridge.net.